Dallas offers much more than big hair, shopping and barbecue restaurants! Lucky for you, the power of live music to make folks feel good is on full display at a host of Dallas night clubs. If listening to bands and vocalists show off their skills is how you like to spend an evening, you'll find that Dallas does things right. Multiple options let Dallas residents and visitors alike tap into the venues that 10Best readers favor, like Balcony Club, or you can get a taste of the city's offerings by visiting places like Lee Harvey's, which is known for its Varies music. 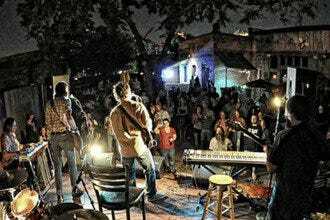 While many venues on the local music scene are clustered in the Deep Ellum area, know that terrific places to hear live music can be found throughout Dallas. If you're in the mood for a romantic evening of jazz, head on down to Sambuca Uptown for a night of delicious dining and jazz music. 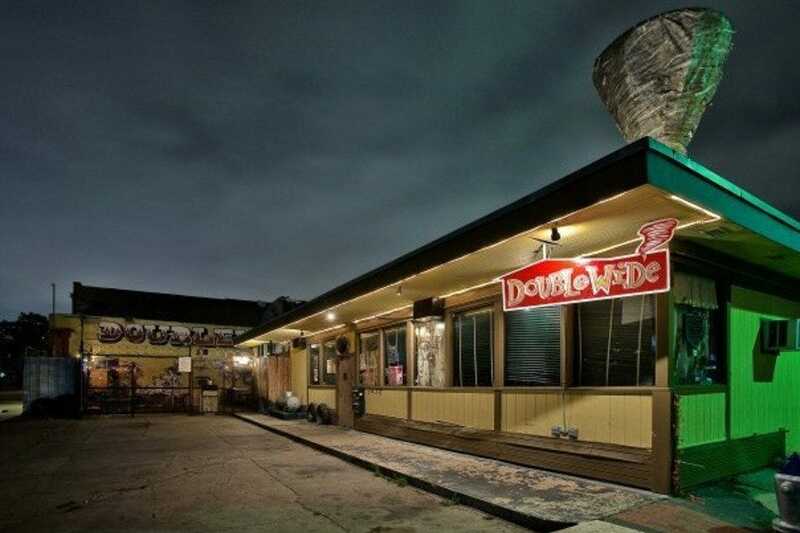 If you'd prefer to catch Dallas at its eclectic best, Double Wide takes trailer park kitsch to a whole new level with live cutting-edge country and western and rock bands on the live stage on Friday and Saturday nights. No matter what kind of music you love, Dallas delivers! Laid-back and plenty of fun, this lodge is operated by the Sons of Hermann Association. It books an eclectic mix of entertainment so that on Wednesday nights, you'll find swing dancing (and swing dancing classes), while Thursdays showcase acoustic jam sessions, and happy hours (5pm-8pm) draw big crowds on weekends. 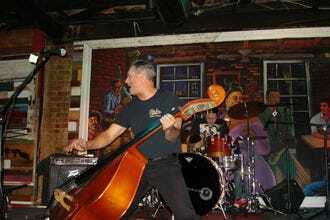 The place has been around since 1911 and has hosted a variety of bands, from big names to promising local talents. 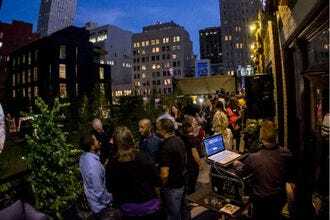 When no groups perform, DJs mix it up and pack the dance floor with willing patrons. The place itself is worth a trip. It is said that the upstairs ballroom and converted bowling alley are haunted. The hip and popular Sambuca in the trendy Uptown neighborhood pulls in lots of business, thanks to its lively ambience and fun-loving clientele. It features a unique supper-club feel, which means that you and your friends or date will be comfortable nibbling and drinking, listening to live music, showing off your style on the dance floor, or just relaxing while jazz suffuses the place. Among the dishes you'll want to try are lobster enchiladas, miso-glazed sea bass, Asian-style shrimp fettucine, and Jamaican pork tenderloin. Just want to nibble? Try the goat-cheese stuffed artichoke appetizer with your wine or cocktail and jazz music. 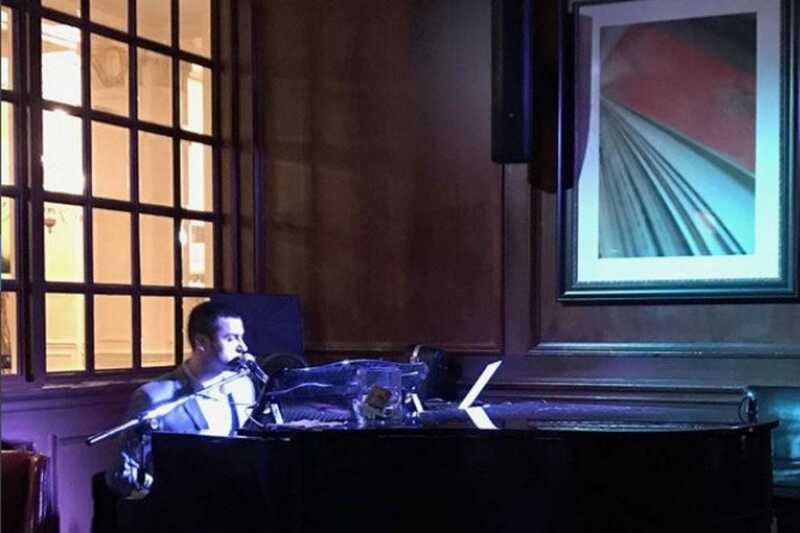 Live jazz and a romantic, intimate ambience set the stage for an evening at the Balcony Club, located in the historic Lakewood Theatre in the laid-back Lakewood neighborhood. A mixed clientele, from young professionals to students, sip martinis and listen as throaty jazz singers croon their favorite melodies. 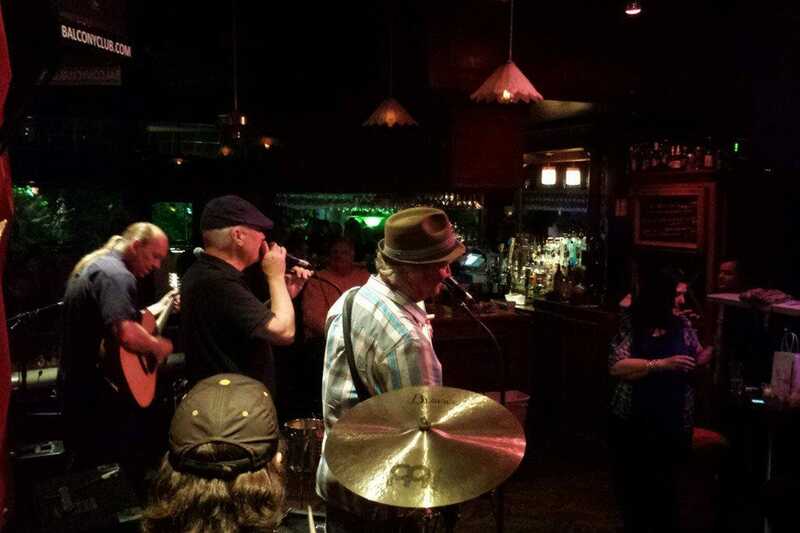 On some nights, the live bands play reggae, while on others they play alternative rock. A small outdoor patio, comfortable booths and an assortment of stools and tables provide ample seating, and there's plenty of room enough for standing and mingling. The full bar also provides a nice selection of single malt scotches. 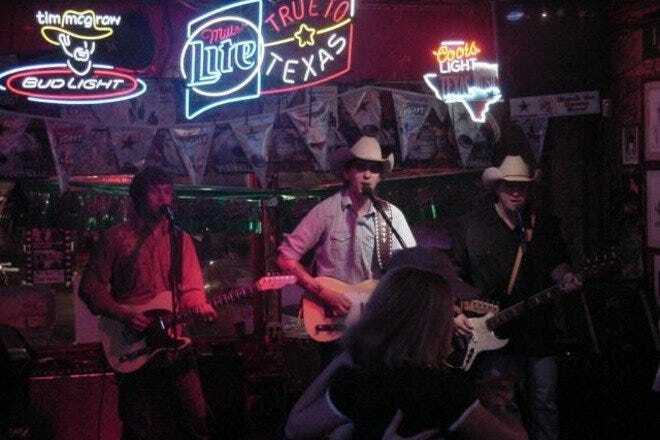 This famous country western honky tonk in Dallas, TX, built on Urban Cowboy fame, is actually four venues in one. There's even a mechanical bull at Gilley's! 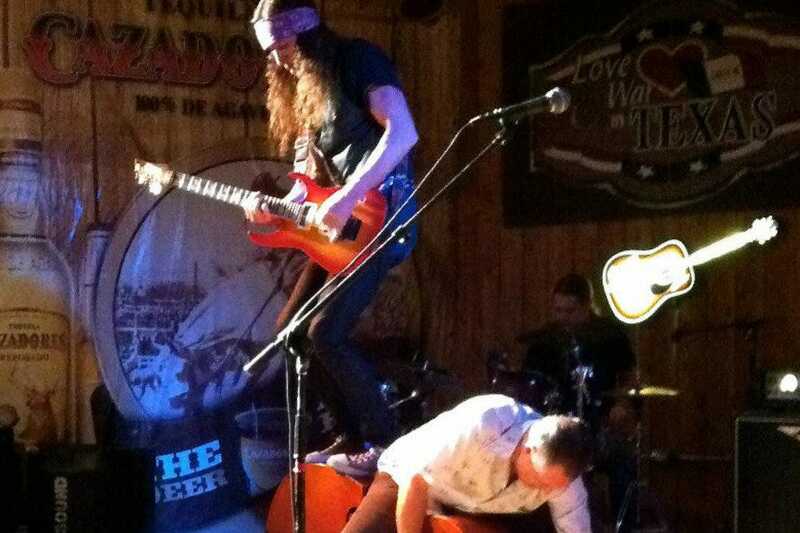 Jack Daniel's Saloon is the place for live, local country music every Friday and Saturday night. The concerts are always free, and a big dance floor and cold beer encourage folks to dance. The South Side Music Hall and the Loft, also on-site, feature live music throughout the week. The Palladium Ballroom features 23,000 sq. feet of event space, complete with a stage and large dance floor. 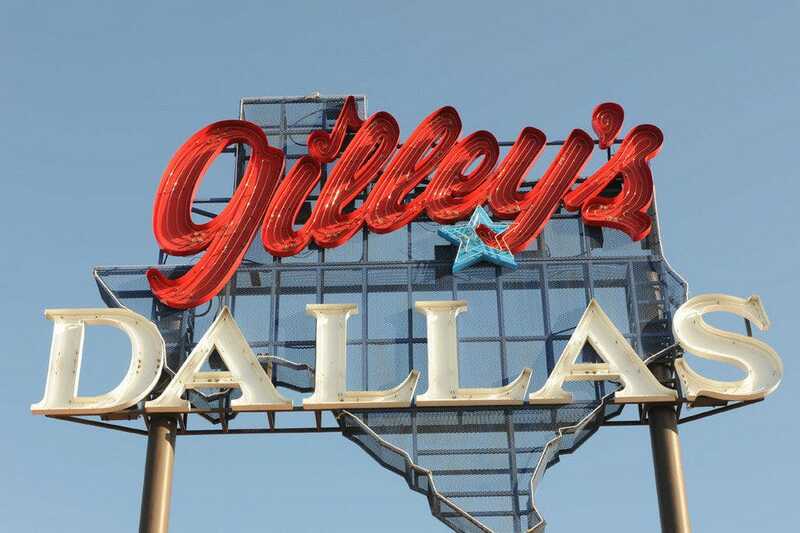 You can buy cowboy boots and take country music dance lessons at Gilley's Dallas, as well. 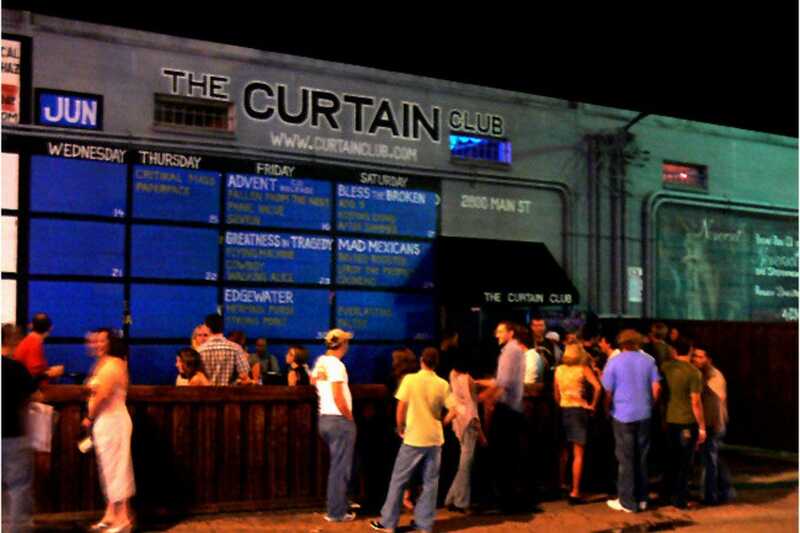 The Curtain Club has established itself as one of the best "sounding" venues in the city and it is truly a Dallas institution. Both local and regional alternative rock bands love to play this room due to its great reputation and fan base. Curtain Club and Liquid Lounge is not a big place, but the sound man really knows his acoustics. There are usually at least three bands per night, so you'll definitely get your money's worth. The crowd is a mixed bag of young and old, but definitely music fans. You must be over 21 to enter the Liquid Lounge and over 17 to enter the Curtain Club. 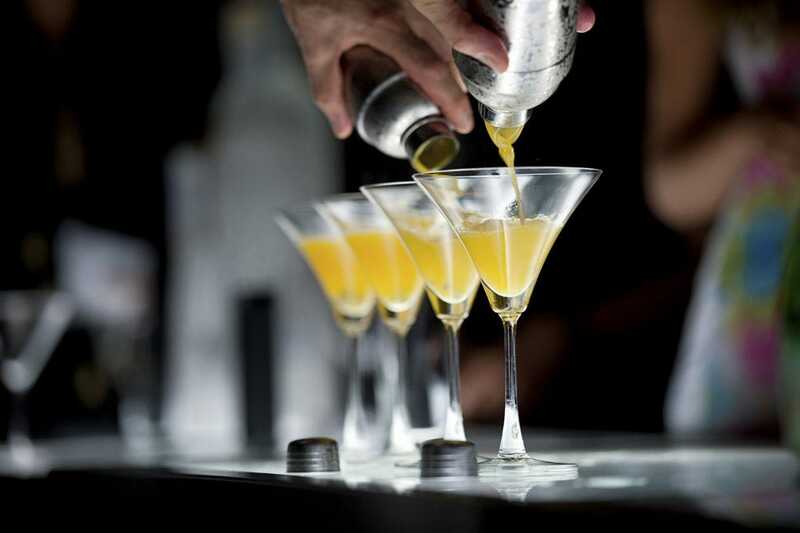 Located in the Warwick Melrose Hotel in the Oak Lawn neighborhood, Library bar is classy and elegant. It has a traditional decor, complete with dark woods, comfortable sofas, upholstered chairs, and stately bookshelves lined with classic titles. Guests enjoy quiet conversation while listening to the melodies of the house pianist and saxophone player and nibbling on tasty hors d'oeuvres from the hotel's prestigious restaurant, Landmark. While Library Bar is a popular spot for Downtown, Uptown and Highland Park residents, it's never too crowded, so you'll always be able to find a seat to enjoy your night out on the town. Happy hour is Monday through Friday, 5pm-7pm. 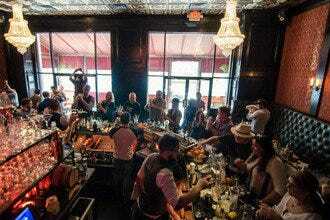 "Quirky" barely skims the descriptive surface of this Dallas club, which has all the style and charm of a mobile home. Don't let the kitsch drive you away though, because Double Wide promises to be one of the more memorable nightspots you'll visit in the Big D. And while the decor is certainly trailer-park, there's nothing trashy about the scene, even if the place does serve cold suds by the can and televise dizzying clips of tornados ravaging small towns. 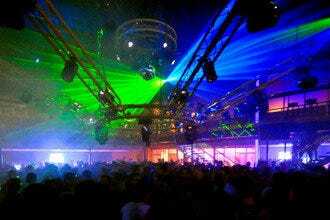 On Friday and Saturday nights, cutting-edge country and rock acts take to the stage; other nights, DJs are on call. 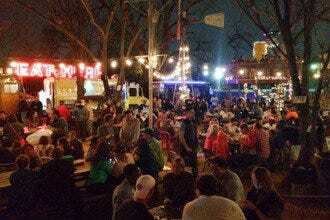 Primarily featuring outdoor patio seating - well, picnic tables, outdoor fire pits and live music make Lee Harvey's a casual favorite among bars in Dallas. The gravel patio and picnic tables that take up the majority of the property may be less than impressive, but the bar's ambiance more than makes up for any lack of sophistication. The indoor part of the bar is dark and down to earth, and it has one of the best jukeboxes in Dallas. Friendly patrons, excellent burgers and drink specials galore have made this bar a top local haunt for over half a century. Located in the heart of Greenville Avenue, where the fun begins!, the Granada Theater is a Dallas institution. This performance and concert venue has been around since 1946 and is one of Dallas' premiere live music spots. There are live performances and shows throughout the week in this beautiful theater. Visitors will be wowed by the ceiling mural and architectural elements that have been restored to their early glory. Most concerts offer wait service, including cocktails and food, to the seats, as well. It is definitely an upscale version of a concert, perfect for adults who want to enjoy a live show with modern conveniences.